Yes, there is a whole lot of cocktails going on. Not the traditional silver julep cup, but then not your traditional julep. 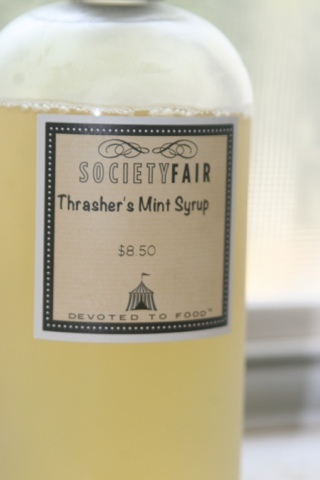 We headed over to Todd Thrasher's new foodie emporium, Society Fair. We left a big jug of Mint Syrup. Yes, we could have made our own but this was just so easy. 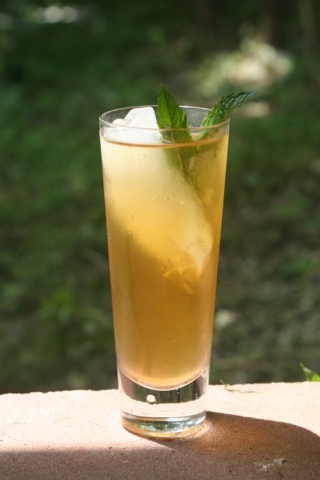 So, just grab some ice, a sprig of mint, your favorite bourbon, and the mint syrup and a drink is just around the burn pit. Great, thanks for sharing this refreshing cocktail. I'll grab one of this.